Big trucks jumping over old cars, mashing things and oh they also race. Monster Jam is ‘Merica as it gets. You would think the NRA and the the Monster Jam fans draw a perfect circle on a venn diagram. They probably do. You would think the censorship of gun imagery on high horsepower trucks of destruction would cause an uproar in the crowd and torches at the gates. It didn’t. This censorship was quietly put into effect back in 2017. Two years ago, the ‘Gunslinger’ truck changed it’s name to ‘slinger’. That was the most noticeable change of the new policy. In addition, guns on the Gunslinger machine were replaced with slingshots. Soldier Fortune and Metal Mulisha also removed gun graphics from their machines to comply with the new initiative. Feld Entertainment operates several entertainment properties. Those include: Monster Jam, Monster Energy Supercross, Disney On Ice, Marvel Universe Live, Sesimee Street Libe and more. Previously, Feld Entertainment also operated a circus show under the Ringling Bros. and Barnum & Bailey name. However, they came under pressure from activists for their use of elephants in the show. In 2018, Feld removed elephants from the show as the tigers, lions, or other exotic animals remained. Shortly after removing elephants, the circus was then closed for good. The change to Monster Jam was made by Feld Entertainment in 2017. It came a year after the Pulse nightclub shooting in Orlanda, Florida. In that tragic event, a lone gunman killed 49 people. The Monster Truck censorship initiative came the same year as the shooting in Las Vegas, Nevada. 59 people in the crowd of a concert were killed and 851 were injured. 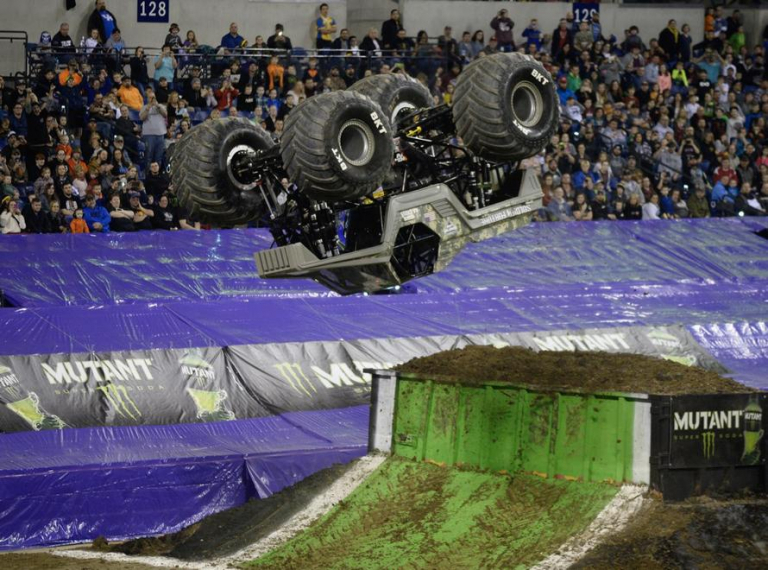 The change to allocated Monster Jam marketing went mostly went unnoticed. A small group of the fan base reacted to the changes but for the most part, it was behind curtains. “Monster Jam is a family-friendly brand with an international presence, and we are always innovating and evolving the intellectual property associated with our Monster Jam trucks,” Stephen Yaros, Feld Entertainment senior vice president for global public relations issued in a statement. “We represent over 50 different Monster Jam trucks and have a truck and design that is relatable to our wide range of fans and their interests,” Yaros concluded.